For a while it looked like Lars Boom had missed his chance to win in front of his own fans on Friday. When the peloton broke in two on the way to Sittard-Geleen, Boom and leader Stefan Küng were stuck at the back of the pack. However, Boom managed to recover and he was in the right place when the favourites formed the deciding break. "I was stuck behind a crash when the peloton broke into pieces," Boom explained his early absence at the front. "Thanks to the flat tyre for Küng I managed to sneak back to the front and then I stayed there." 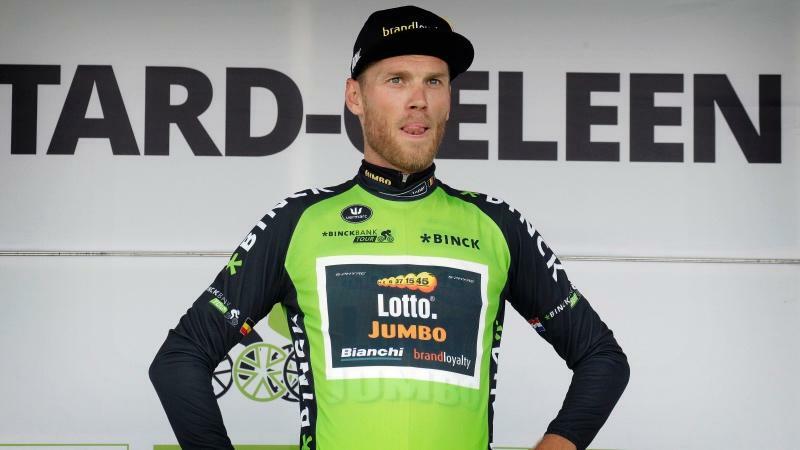 The Dutchman then managed to round off a solo attack in the final stages of the fifth stage, holding off a sprinting Peter Sagan and Greg Van Avermaet. With two kilometres to go I saw the perfect moment to attack," Boom added. "I can understand Sagan didn't want to do all the work by himself. That was my lucky break today." Boom was visibly emotional after his win in Sittard-Geleen, saying: "This victory makes me very happy. This spring didn't go as planned and then I just missed out on being the Dutch champion. Now it's great everything is coming together nicely. After a tough period I started doubting myself but my will to win was very strong." Following his impressive victory, Boom now also leads the general standings of the BinckBank Tour with a two-second gap to Sagan and eight seconds to Tom Dumoulin. The 31-year-old rider of Lotto JumboNL is realistic about his chances to win the event with a hard stage in the Belgian Ardennes up next. "The Saturday stage will be decisive," he acknowledged. "It's not as tough as during the previous years but it's still difficult for me to follow the lighter riders. I weigh ten kilos more than them. "My form is great but after the retirements of Wagner and Leezer we are missing two important riders in our team."